November 18-20, about 100 international media owners and operators, businesses executives, senior government officials, and experts met in Livingstone, Zambia for the 2018 Africa Business Media Innovators (ABMI). This annual forum – which began in 2015 – is a convening to exchange ideas and discuss solutions on issues of importance to African media. This year’s theme was Africa 2025: The Media Landscape of the Future. The event focused on such topics as: digitalization and other new technologies, such as artificial intelligence and blockchain; the fourth industrial revolution; financing a rapidly changing industry; Africa’s regulatory framework and public policy; and global competitiveness and its impact on legacy publications. Technological disruption is challenging traditional media and opening space for media innovation – Changes in technology are creating new risks and opportunities for media industry leaders. Institutions that embrace innovation can survive and flourish; those slow to embrace change will be at risk. Speakers in different sessions noted that advances in technology have made it easy for new media players to enter the industry due to the reduced costs for delivering content to audiences. Media financing plans changing in line with new innovations – As ways audiences access content continues to change, business models also need to evolve. One theme that emerged throughout the discussions was how innovations should be part of successful business strategies to overcome some of the challenges facing the sector. For example, while some consumers find the costs of subscriptions prohibitive, new technology like blockchain overcomes this hurdle by making it easier for consumers to pay only for the content they consume. Localization of content key to winning audiences – African consumers are attracted to localized content in local languages and trends show better performance for media houses that structure their plans to meet this demand. Various speakers recommended that media firms conduct audience surveys and restructure their content to suit the desires of their consumers. Africa’s economy poised for growth – According to data from Bloomberg, Africa will contribute 3.8% to the world GDP by 2020, to beat the predicted global performance of 3.2%. Growing economies will create the need and opportunity for more investment and media coverage of African business, finance and economic development. The first day focused on Africa’s shifting media landscape, highlighting the impact of technology on traditional media. Scott Havens, Bloomberg Media’s Global Head of Digital and Media Distribution, introduced the forum’s three-day agenda. This was followed by a session on the African media landscape moderated by Khadija Patel, Editor-in-Chief, Mail & Guardian. 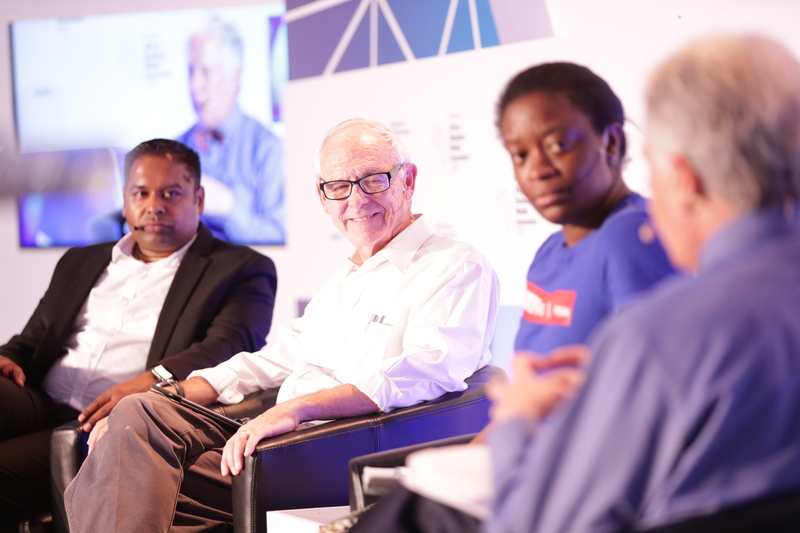 The panellists, Andile Khumalo, CEO, The Brodkast Group; Mapi Mhlangu, Managing Director and Editor-in-Chief, eNCA; and Mohamed Nanabhay, Deputy CEO, Media Development Investment Fund, agreed on the need to prioritize innovation as a way of staying relevant. The speakers concluded that media will survive the digital revolution through preservation of journalistic principles and ethics. In the afternoon, experts delivered workshops on the emerging technologies currently disrupting the media sector, specifically Artificial Intelligence (AI), blockchain, and data science. 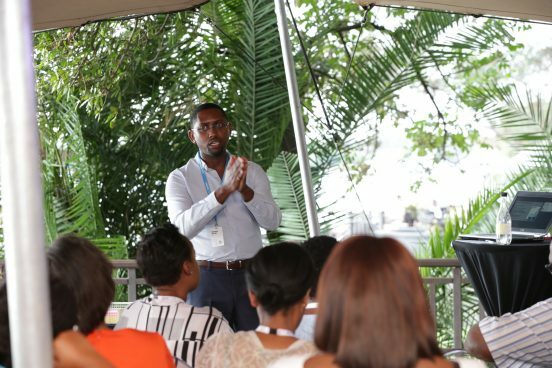 The AI workshop – led by Dr. Solomon Assefa, VP, IBM Research, Africa and Emerging Market Solutions – emphasized the positive aspects of technology and the ways AI could enhance human capabilities. Dr. Assefa affirmed that AI could help analyse large data sets to help create meaningful content. CEO and Founder of Wala, and Director of the, Dala Foundation, Tricia Martinez, led the workshop on blockchain technology, highlighting how innovation could be used to collect payment for content. She also demonstrated how blockchain-based currencies can be used to bill audiences for specific pieces of content. 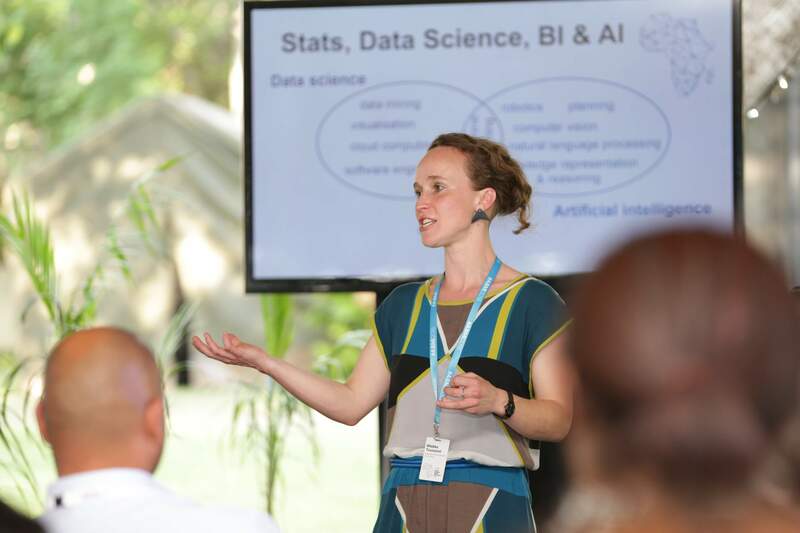 Finally, Co-Founder and CEO of Engineers Without Borders, Wiebke Toussaint, delivered a workshop on data science focused on the need for better storytelling, stronger data visualization, and more robust fact-checking. She also stressed the need for greater data literacy in newsrooms. Day two of ABMI18 explored the fourth industrial revolution, innovative media partnerships, global competitiveness, the public policy environment, and community media. Opening remarks were delivered by The Honorable Dora Siliya, Zambia’s Minister for Information and Broadcasting Services. The minister positioned Zambia as an attractive place to conduct business for media practitioners. She highlighted positive investments made by the Zambia National Broadcasting Corporation (ZNBC) in digital networks, which she argued will help create jobs in journalism and content production. Bloomberg News Co-Founder and Editor-in-Chief Emeritus, Matthew Winkler, offered an analysis of Africa’s economic growth. He noted that while Africa’s economy is expected to grow 3.1% in 2018, lagging behind the global 3.8% average, the continent’s economy is forecast to expand significantly by 2020, adding 3.8% to the GDP and outperforming expected global growth of 3.2%. This will be the first-time Africa outperforms global growth since 2014. Bloomberg data shows Africa as the only region with accelerating GDP growth since 2016. 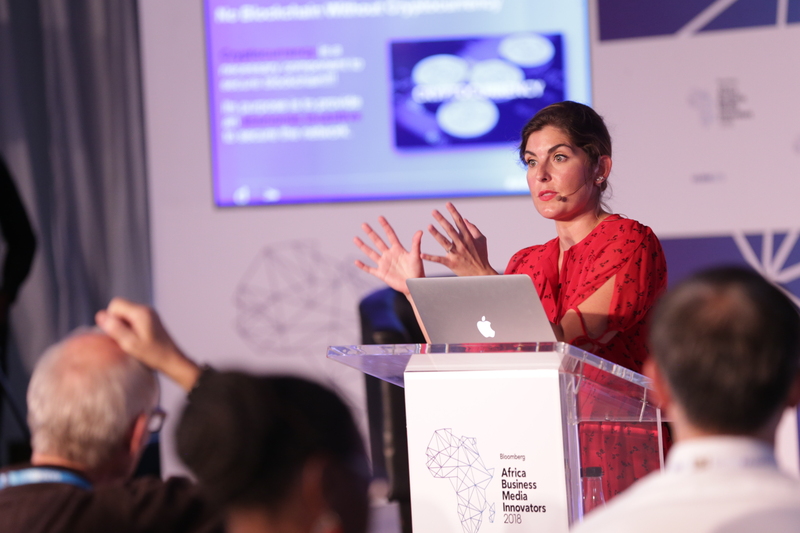 Tricia Martinez, CEO and Founder at Wala and Director at Dala Foundation, leads a workshop on the importance of blockchain in the media sector, during the Africa Business Media Innovators Forum 2018, in Livingstone, Zambia. 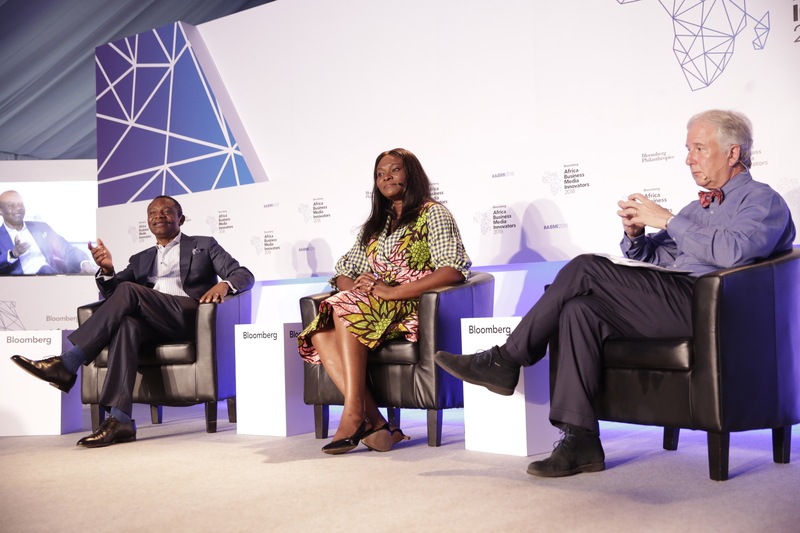 Winkler was then joined by Frank Aigbogun, CEO of Nigeria’s Business Day, and Edith Dankwa, CEO of Ghana’s Business and Financial Times, for a discussion on new technologies and business models. The panel agreed on the importance of sound business strategies, investments in technology, creating content that people need and a focus on innovation to survive in an era of digital disruption. Dankwa noted the many opportunities arising from digital disruption, adding that investments in AI could enable media outlets to target specific information to different audiences. Aigbogun also touched on AI, arguing that it could be used to fact-check content, enhancing credibility in an age of misinformation. Scott Havens, Bloomberg Media’s Global Head of Digital and Media Distribution, offered an overview of the impact of digital transformations on the media landscape. In his presentation, Havens recognized the shift in online audiences from desktop to mobile; with mobile users growing from 20% to 75% of global audiences over the past 18 years. Over the top (OTT) media is growing at an annual rate of 29% and will continue to disrupt linear television, 92% of which is currently controlled by broadcast media. Havens encouraged publishers to take advantage of the opportunity to target audiences with engaging content. OTT penetration will continue to grow in Africa as internet prices drop. Internet pricing in Africa is currently 2 – 6 times more expensive than in developed countries. 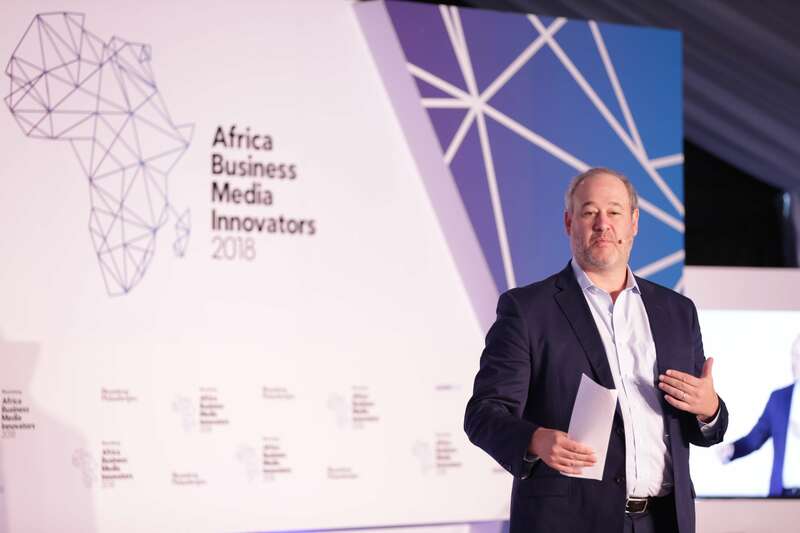 Scott Havens, Bloomberg Media‘s Global Head of Digital and Media Distribution, delivers his closing remarks at the Africa Business Media Innovators (ABMI) Forum 2018, in Livingstone, Zambia. Havens was then joined by Kai Bond, Principal, Comcast Ventures and Manager, the Catalyst Fund; Jocelyne Muhutu-Remy, Strategic Media Partnerships Manager – Sub Saharan Africa, Facebook; and Yinka Adegoke, Africa Editor, Quartz, for a panel discussion on how digital transformations have revolutionized the industry. The panel focused on several issues including: the accreditation of fact-checking organizations; the responsibility of platforms like Facebook in reducing fake news; and the need for original content in maintaining audience engagement. William Gumede, Executive Chair, Democracy Works Foundation, shifted the day’s focus towards local voices and accountability. His presentation focused on the new opportunity for citizen journalism and the role of technology in connecting community media with civil society. He also highlighted ways technology can mobilize groups, pointing to the use of digital channels during the Arab Spring and other social change movements as examples. Abiola Oke, CEO of OkayAfrica, led a panel discussion on the benefits of innovative media partnerships and their role in the media markets of 2025. 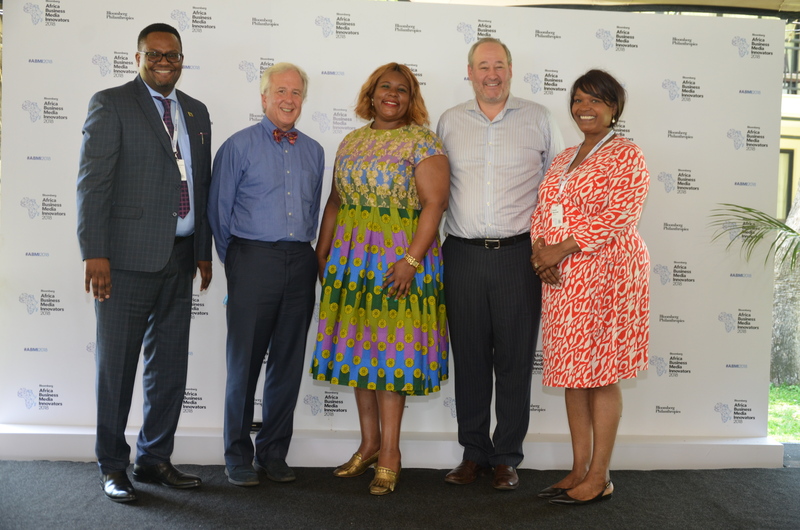 Phathiswa Magopeni, Group Executive, SABC; Emeka Dimanochie, CEO, UBA Bank Zambia Bank; Leo Stiegeler, General Manager, Swiss Ringier Africa AG; and Terryanne Chebet, CEO, Fanaka Television made up the panel. While the panellists agreed that media is facing disruptions they argued there were opportunities for practitioners to counter these transformations drawing on their considerable assets. The panel outlined a range of potential partners, including the financial services sector, universities and large private sector companies. The fourth industrial revolution was the focus of the first afternoon session. Kabiru Yusuf, CEO and Editor-in-Chief of Media Trust Limited, opined that economic survival is now dependent on innovation and embracing technology, adding that he was excited about the prospect of AI. Sheel Tyle, Founder and CEO of the global venture capital firm Amplo, expressed concern about the ethical ramifications of AI in journalism, and also highlighting the precariousness of media being entirely aligned with, or sponsored by, the state. He said this could infringe on an individual’s rights to privacy. Scott Havens interviewed Twitter Board Director and the former Chair and CEO at BET Networks, Debra Lee, about how media financing was changing and its impact on newsrooms. Lee maintained that the current disruptions in the media sector are not new, but rather part of a long pattern of technological change and advancement in media. Ms. Lee recalled the shift from radio to network television to cable to streaming to OTT. “To survive these changes, reinvention will have to take place for media houses to stay relevant and survive,” Ms. Lee said. 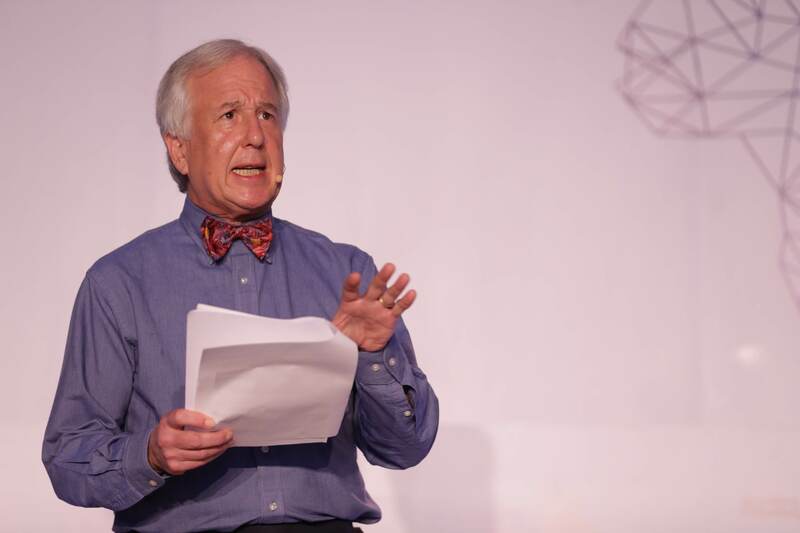 Matthew Winkler shared a case study on global competitiveness referencing the digital evolution of The New York Times. Winkler asserted that traditional media can learn from the case of The New York Times, which has set up a successful digital platform to complement its newspaper business. Reed Kramer, CEO and Co-Founder, AllAfrica Global Media; Yasteel Kuseeal, COO – Media Division, Tiso Blackstar; and Miriam Quansah, Digital Lead-Africa, BBC News, joined Winkler in a panel discussion covering digital disruptors and the growing presence of international media in Africa. Kramer discussed the challenges to earn sufficient revenue for his online publication. He outlined how despite accounting for 65% of the traffic, African users generated only 20% of his revenue. However, Kuseeal saw the shortfall as an opportunity for legacy media to improve and make significant changes in business models to attract more readers and advertisers. 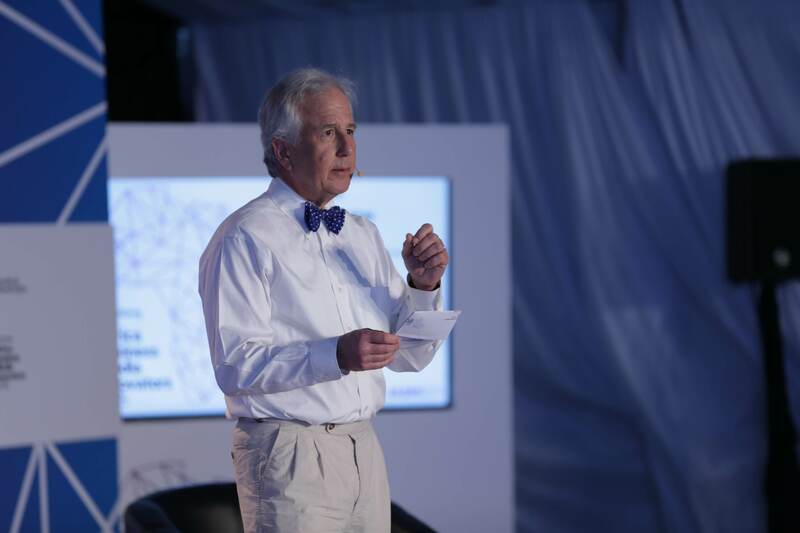 Matthew Winkler, Bloomberg Media Editor-in-Chief Emeritus, shares a comparative analysis of Africa’s economic growth at the 4th annual Africa Business Media Innovators Forum 2018, in Livingstone, Zambia. Dr. Vera Songwe, the Executive Secretary of the United Nations Economic Commission for Africa, shared her forecasts for Africa’s regulatory and investment climate. She highlighted the need for African countries to diversify and consider reducing cross-border restraints, reforming tax systems and balancing the risks for government and the private sector as a way of improving its economic growth. A panel, moderated by Kofi Appenteng, President and CEO, the Africa-America Institute, agreed that regulators in Africa are still playing catch up with new technologies and digital disruptors. On the panel were: Jacqueline Musiitwa, Executive Director, Financial Sector Deepening and Managing Partner Hoja Law Group; C.D. Glin, President and CEO, US African Development Foundation, and Honorable Eléonore Johsay, Madagascar’s Minister of Culture, Promotion of Handicrafts and Cultural Heritage. Ms. Musiitwa recognized the gaps in the regulation of digital media platforms and recommended that innovators explore and invest in the space. 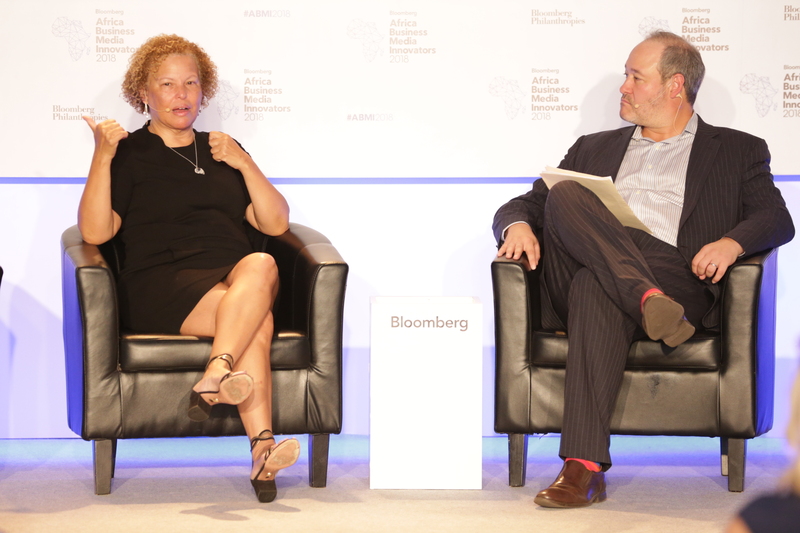 Interactive polling led by Bloomberg Executive Editor, Global Business, Jacqueline Simmons, reviewed the audience’s perspectives of African media. Seventy nine percent of the respondents said that in the future African media will play a greater role in telling African stories globally. Just over one third of the audience identified data monetization as the fastest growing revenue source on the continent followed by advertising and income from commercial activities such as conference and events. Only 14% of the audience believed that paid subscribers would be a significant source of media revenue in 2025. In addition, 28% of the audience chose government transparency and accountability as a topic that will gain the most significant attention between 2018 and 2025, followed by sustainable development and economic inclusion. Technology, economic inclusion, government transparency and the informal economy were the top four topics that participants believed would form part of media agenda in the next seven years. Matthew Winkler, Bloomberg Media Editor-in-Chief Emeritus; Hon. 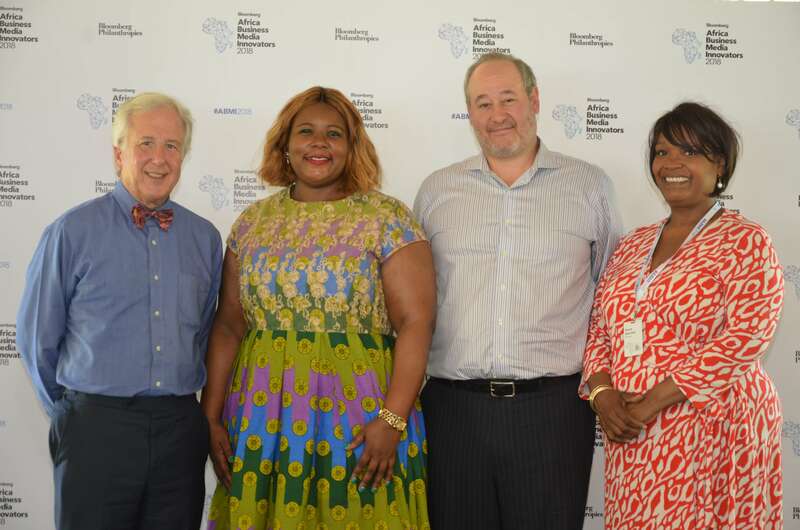 Dora Siliya, Zambia’s Minister for Information and Broadcasting Services; Scott Havens, Bloomberg Media’s Global Head of Digital and Media Distribution and Erana Stennett, Director at Bloomberg Media Initiative Africa; at the Africa Business Media Innovators (ABMI) Forum 2018, in Livingstone, Zambia. On the final day, Scott Havens led a panel discussion on financing African businesses. 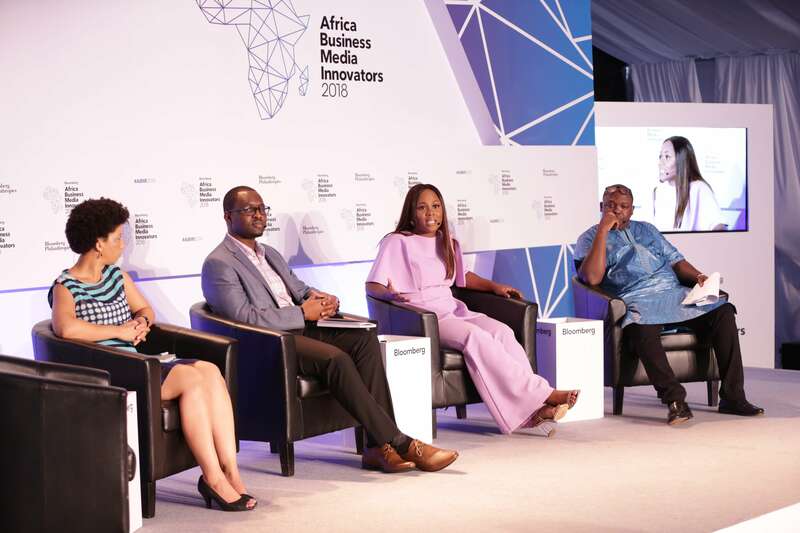 The panel – Ben Leo, CEO of Fraym; Bunmi Akinyemiju, CEO of Venture Garden Group; Chibamba Kanyama, Managing Consultant at Bridges Limited; and Linda Mabhena-Olagunju, Founder and Managing Director of DLO Energy Resources Limited – discussed the challenges of funding African ventures. The panellists emphasized the importance of leadership, governance, and “big” thinking. They also noted that most capital investment is located offshore and referenced the opportunity of growing the investment capital available from Africa. In the forum’s final session, Mamadou Gouro Sidibe, the founder of the Malian social media platform Lenali, led a panel discussion among a group of next generation entrepreneurs who have built successful businesses. Tim Kotin, Co-Founder and CEO, SuperFluid; Uchenna Jennifer Pedro, founder, BellaNaija; and Lesley Donna Williams, CEO of the Tshimologong Precinct. The panellists shared their stories of risk-taking and innovation and cited localization of content and citizen journalism as two important trends affecting media consumption on the continent. From left to right: Lesley Donna Williams, CEO at Tshimologong Prencint; Tim Kotin, Co-Founder and Chief Executive at SuperFluid; Uchenna Jennifer Pedro, Founder at BellaNaija, and Mamadou Gouro Sidibe, Entrepreneur and Founder at Lenali; discussing how they are using modern media platforms and providing future forecasts at the Africa Business Media Innovators (ABMI) Forum 2018, in Livingstone Zambia. 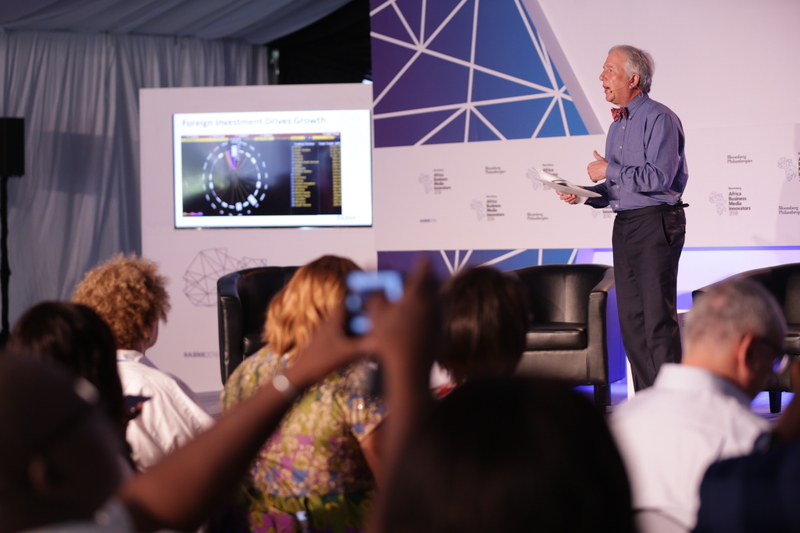 In their closing remarks, Matthew Winkler, Scott Havens and Erana Stennett reflected on the potential of Africa’s media to gainfully use opportunities arising from technical disruptions while creating an environment that attracts investment. Winkler said ABMI has encouraged unique partnerships and new business strategies. He also observed that the 2018 convention took place within an optimistic forecast of Africa’s economic outlook. Havens added that the gathering presented an opportunity to create new models for Africa’s media business that will thrive beyond 2025. 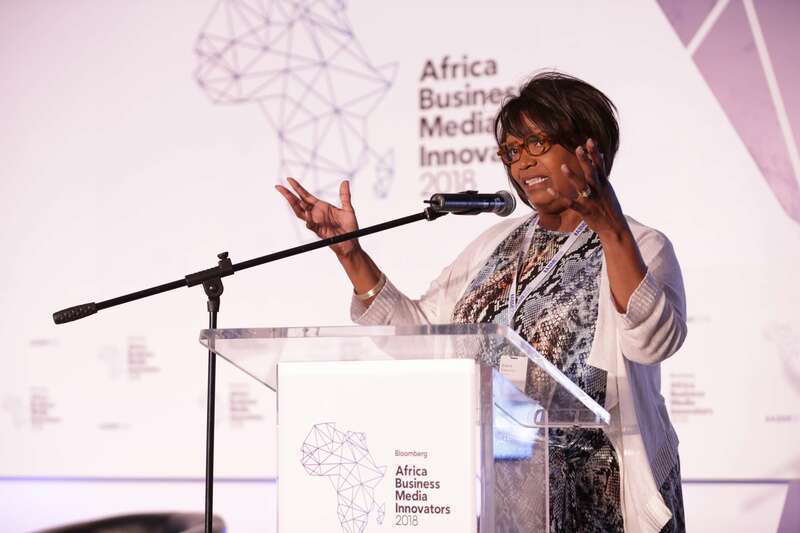 Stennett reflected on the success of ABMI18, summarizing terms that surfaced throughout the forum in what she described as the “I”s necessary for African media to continue to thrive and remain competitive: investment, innovation, incubate, interrogate, integrity, influential, inter-generational and international. – Michael R. Bloomberg is the founder of Bloomberg LP and Bloomberg Philanthropies and serve three terms as Mayor of New York.